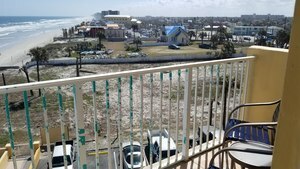 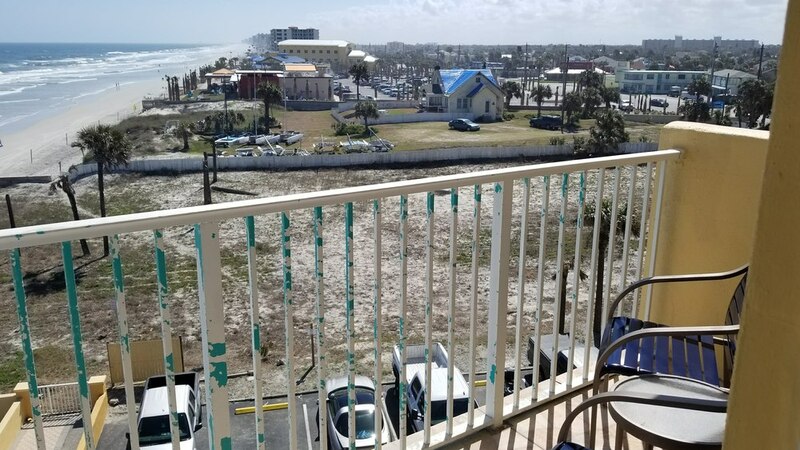 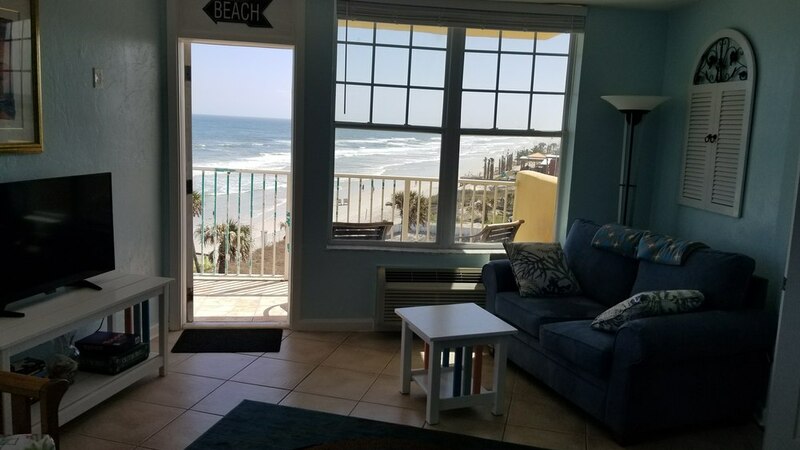 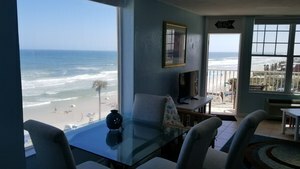 Max Occupancy: 6 OCEAN FRONT SUITE has a full view of the ocean. 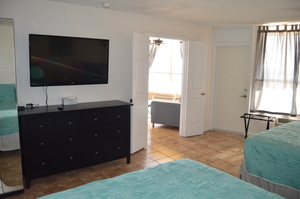 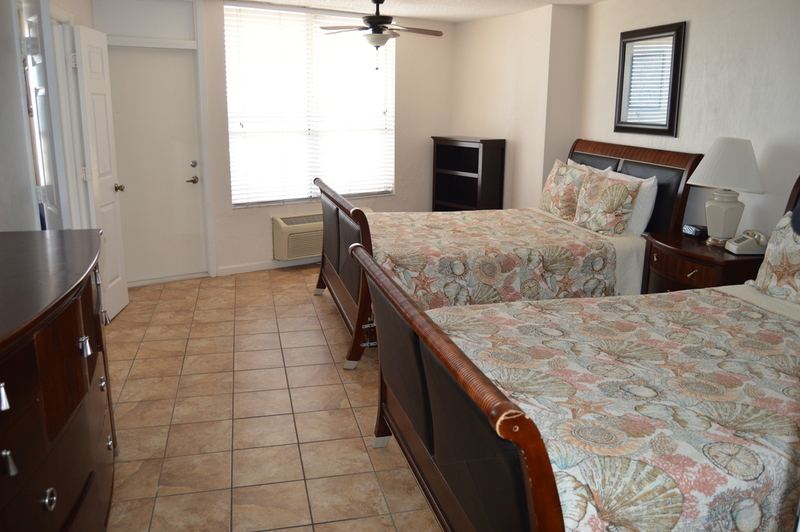 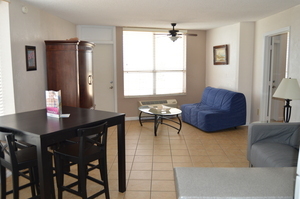 It comes living room, full bath and a fully equipped kitchenette. 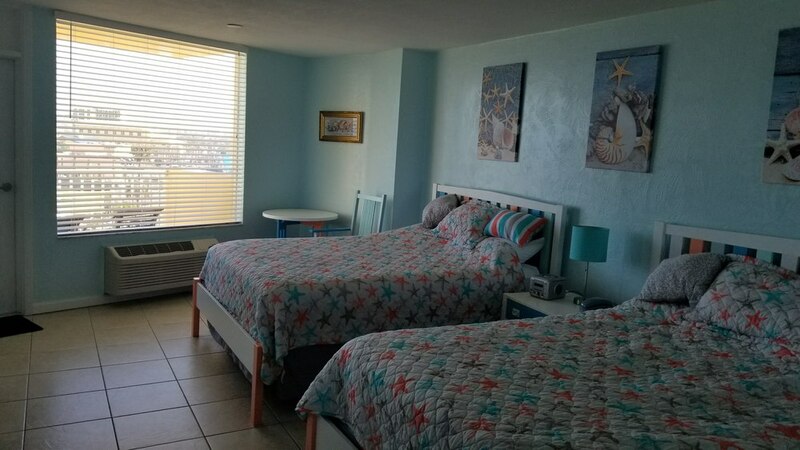 Separate bedroom with 2 queen beds a second full bath. 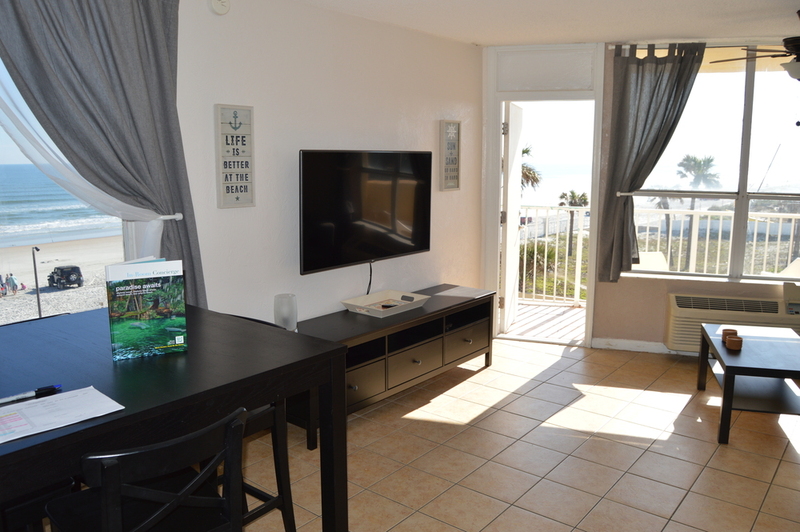 Kitchenette offers a sink, resort size range with oven, microwave, full size refrigerator, coffee maker,dishes, utensils cookware, 2 private balconies.